I am putting aside the question of whether our president is a stable genius, for now anyway, because the Democrats have their own affairs to manage too. And here is a spoiler alert: if you haven’t seen the new Star Wars film (“Star Wars XLV: Pats vs. Broncos”), you may want to skip the next few lines. I hope you’ve seen it, though, because it’s terrific. Mark Hamill gives a touching performance as an aging Luke Skywalker. A young British actress named Daisy Ridley gives another touching performance as a young British actress, named Daisy Ridley. And finally, Laura Dern stars as an older political leader, wise and patient, condescending and kind, weirdly self-possessed and infuriatingly correct at all times, until she smashes her ship to smithereens and gets called a hero by all her friends: Jar-Jar Clinton. Which just goes to show you. There’s no escaping politics these days, not even at the movies. In short, I am sorry to report that Hillary Clinton made the news again recently. The editors of Vanity Fair, a glossy magazine based in Manhattan, were forced to apologize after one of their employees, a young female writer (not named Daisy, unfortunately) suggested in some online forum that Ms. Clinton “take up knitting” rather than run any more races. This story alarmed me on several levels. First, that anybody cared what the editors of Vanity Fair thought about anything. Second, that I am apparently not alone in fearing that Ms. Clinton might not actually quit public life. And third, that the Democratic establishment objected not only to the suggestion that Hillary Clinton made a lousy candidate; but also to the notion that people might joke about it. I am implicated. I recently compared her to Earl Butz. Now I certainly understand why people are sensitive about Hillary Clinton’s failures. With her defeat, little girls in America can no longer dream about someday marrying some guy from the sticks; becoming an unhappy partner at some grim mid-sized law firm while that guy becomes the governor of his hapless state; helping him win the presidency by scoffing at all his affairs; accepting a senator’s seat from New York, as a sort of personal entitlement after that (Nita Lowey: the name of the competent, likeable, liberal-minded female congresswoman who was elbowed aside like yesterday’s lunch to make room for Clinton in that race); losing her own campaign for the presidency next, on the twin weaknesses of standing for nothing and wanting it all; being handed the State Department, next, as another personal entitlement; subsequently being parcel-posted the Democratic nomination for the presidency, as she had previously not been able to obtain it on her own; and then, finally, I guess, winning on her second try, on the twin strengths of corporate cash and contempt for the poor. No, little girls can no longer have that dream. Sadness. But either way. Here is what really bothers me. When you joke about something, you are — on the fundamental philosophical level– suggesting that this “something” is not the only way it can be. Alternatives exist; minds may disagree. The chicken might not want to cross the road at all; the door need not be opened when somebody knocks. In a word, humor is liberal. It can only exist in an atmosphere of tolerance. And why is the Democratic party enshrining intolerance as a virtue? And what will become of it, once it succeeds? “I often wonder whether we do not rest our hopes too much upon constitutions, upon laws and upon courts. These are false hopes; believe me, these are false hopes. Liberty lies in the hearts of men and women; when it dies there, no constitution, no law, no court can save it; no constitution, no law, no court can even do much to help it.” A thought from the famous mid-century attorney and judge, Learned Hand (a name almost as good as “Daisy Ridley”). It suits my mood today. Please join me, then, in making America great again, by making a joke about Hillary Clinton. And to simplify this process, here are some suggestions: (1) Beginner’s level: compare her to Richard Nixon. True, this is not fair to Nixon, who was an able and intelligent politician, with a beautiful family, and great successes to his credit. Yet still, they both ended their careers as paranoids, and Republicans. (2) Intermediate level: compare her to Earl Butz. Arguably even more accurate, if also, still, unfair to Earl Butz. And finally: (3) Expert level: compare her to a Star Wars character. Give it a try. It’s fun. Michael Davidow is a lawyer in Nashua. 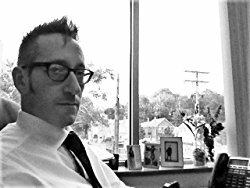 He is the author of Gate City, Split Thirty, and The Rocketdyne Commission, three novels about politics and advertising which, taken together, form The Henry Bell Project. His books are available on Amazon.